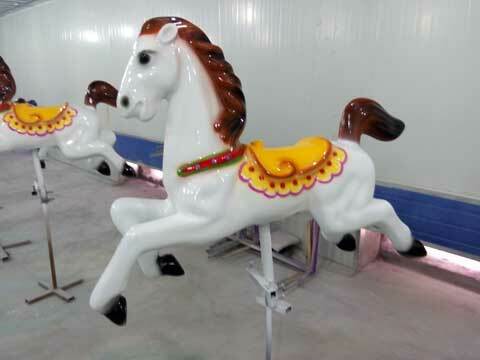 As the name implies, fiberglass carousel horses is made by fiberglass (FRP), it is a type of fiber reinforced plastic where the reinforcement fiber is specifically glass fiber. Fiberglass is a strong lightweight material and is used for many products. It is less brittle. 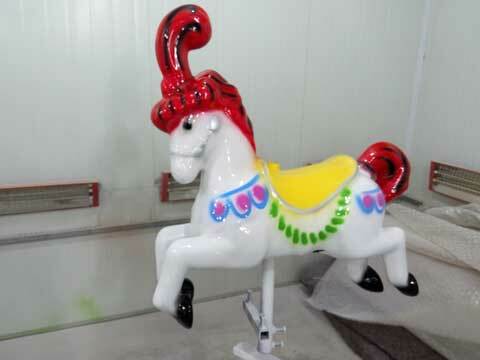 So usually we use it for our carousel horse which will make the horse more durable. It is widely used in playground, square, park, kindergarten, playground, funfair etc. 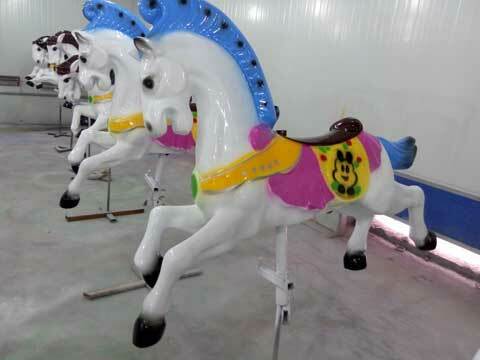 Beston carousel horse adopts high-quality glass fiber reinforced plastics, and have the feature of environmental, corrosion resistance, high stability and reliability and very beautiful, it is very welcomed and loved by market and children. It can make according to funfair and users requirements. Features can be painting according to the customer’s requirement. 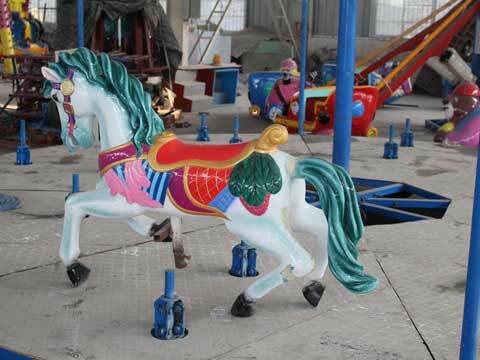 All the carousel horse would be final-testing to make sure the performance of the equipment. 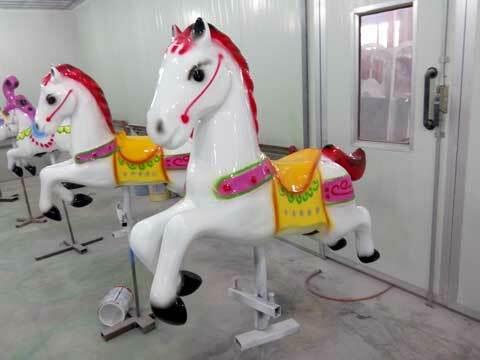 Competitiveness than other carousel horse: you will enjoy professional installation and all-around post services. We assure that our products will keep in very good condition after long time use or even in the harsh climatic conditions. Our carousel horse is safer than others. All our products are strictly inspected according to the safety standards to make sure all parts of carousels are harmless to kids and adults. All the metal parts are smooth and the plastic parts are no-toxic, anti-ultraviolet property, conforming to the standard of food class.